Huntington Beach. Downtown Huntington Beach to be specific. As a lover of live music and local bands, I always look forward to heading to the downtown area for Surf City Nights on Main Street, but to be honest I’ve always been at a loss for where to go for dinner. When you drive from San Clemente, you’re hoping for something at least a little memorable and while there are some fine enough local joints and restaurants, not much has jumped out at me that I can look forward to. 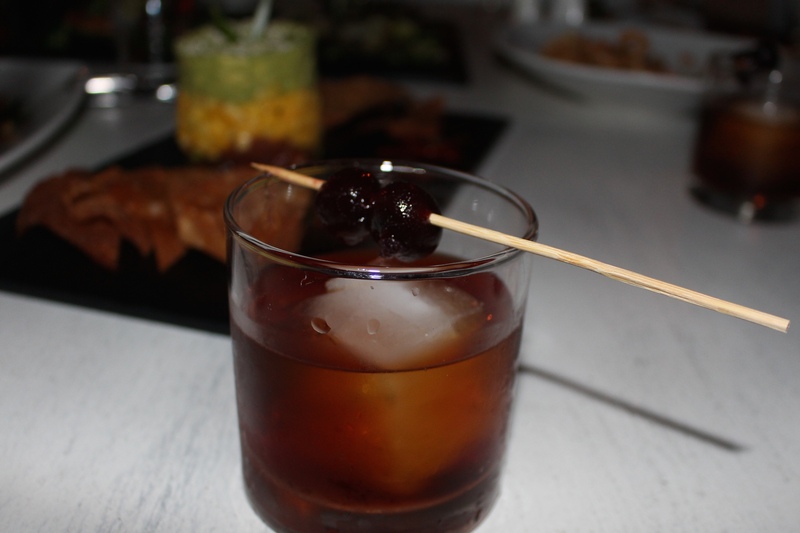 So, I was excited to receive an invite to the recently opened BLK Earth Sea Spirits. I’d heard good things and was hoping for a Downtown Huntington Beach find. Set just off the ocean, this sister to BLK Burgrz features a restaurant that wows with incredible sweeping views of the ocean whether dining inside under the rustic elegant birdcage chandeliers, or out on the covered terrace. 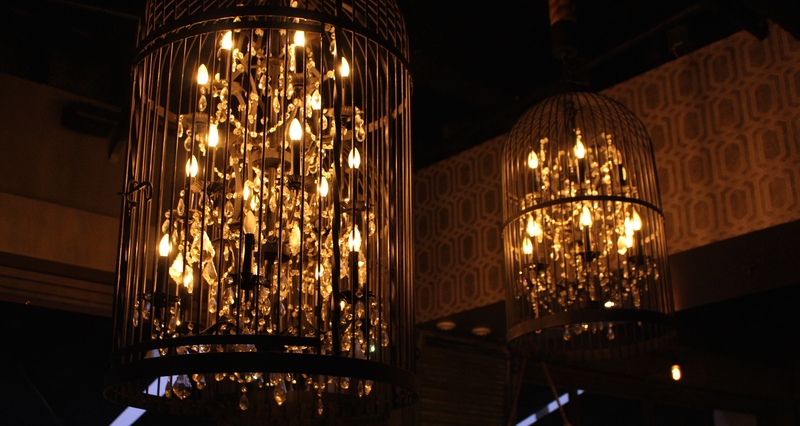 Though on this particular evening a heavy fog rolled in putting a kink in our dreams of a gorgeous sunset view, the outdoor terrace with its heat lamps to keep us warm, was still the perfect spot for enjoying a delicious meal. 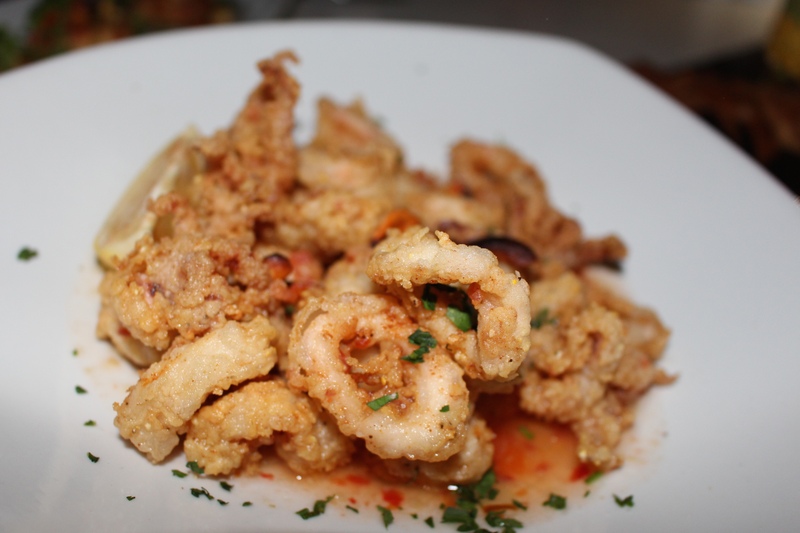 Lightly battered calamari resting in a sweet sour Thai chili sauce. Always a crowd-pleaser. 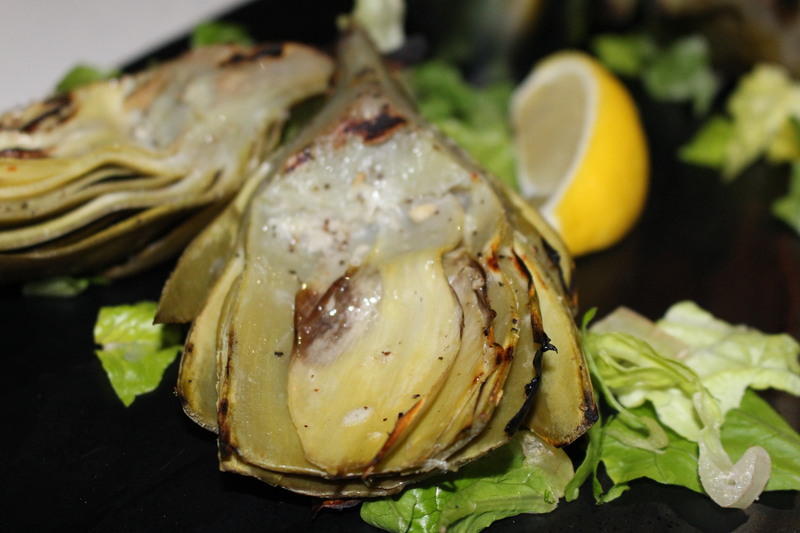 Grilled artichoke quartered and brushed lightly with a light garlic and lemon aioli. The artichoke was properly steamed and finished on the grill. I’m often leary of grilled artichokes in restaurants because all too often, the leaves are shriveled and tough. These were nice and tender. 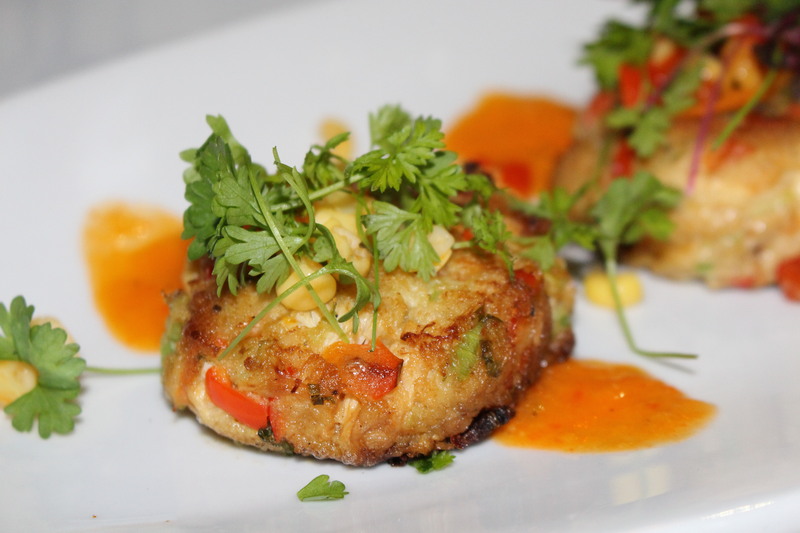 Crab cakes. Pan-fried and served with corn relish on a smear of pepper sauce. I always appreciate when a crab cake is more crabby than bready. 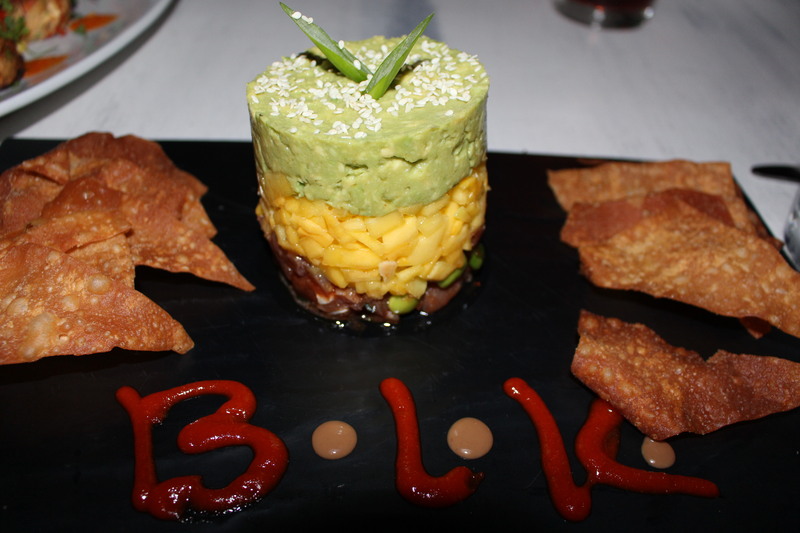 Tuna Tower with a base of Asian marinated Ahi tuna, edamame, diced fresh mango, mashed avocado and a sprinkling of sesame seeds. Served with wonton chips and chili sauce. Ahi tuna stack. 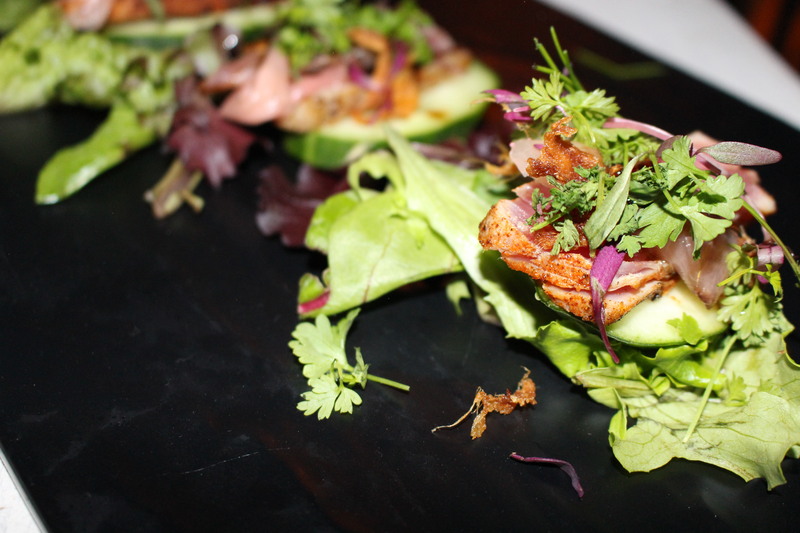 Seared tuna with ginger, fresh greens served on a cucumber coin and with a light drizzle of lemon balsamic sauce. Next up were several classic salads to choose from. 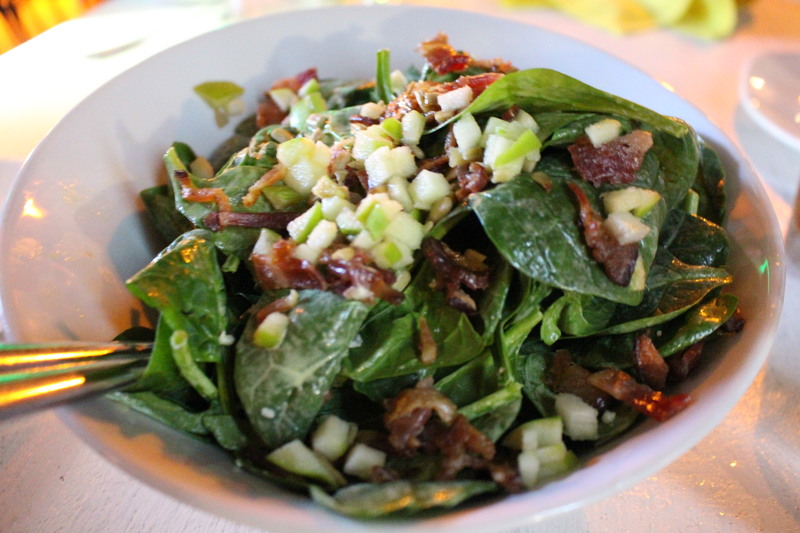 Spinach salad with diced green apple, bacon, crumbled bleu cheese and sunflower seeds with a light honey mustard dressing. Caesar salad. 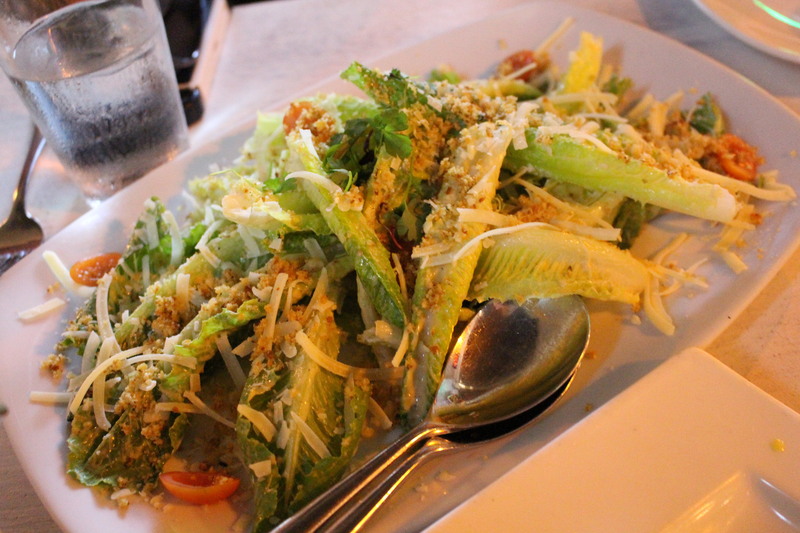 Whole baby romaine leaves topped with crushed croutons, shredded Parmesan, sliced grape tomatoes with a light Caesar dressing. Fork & Knife. 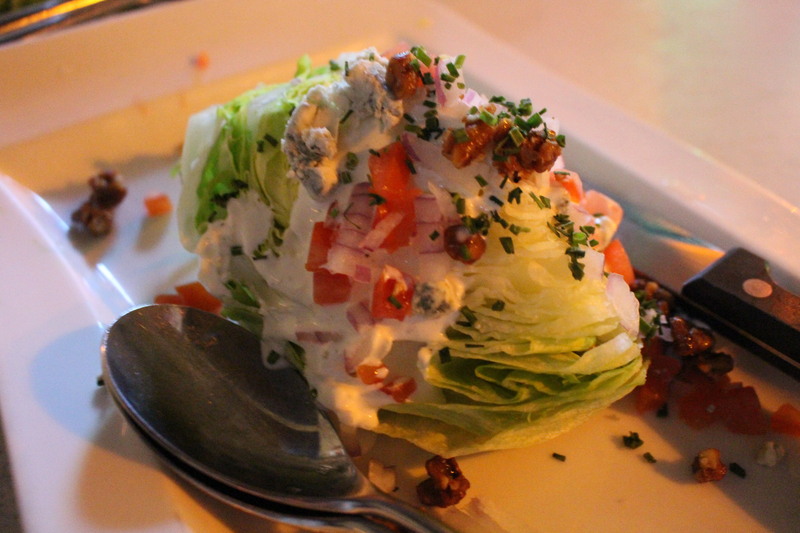 A wedge of Iceberg with crumbled bacon, bleu cheese, diced tomato, red onion, candied walnuts and bleu cheese dressing. Kale salad. 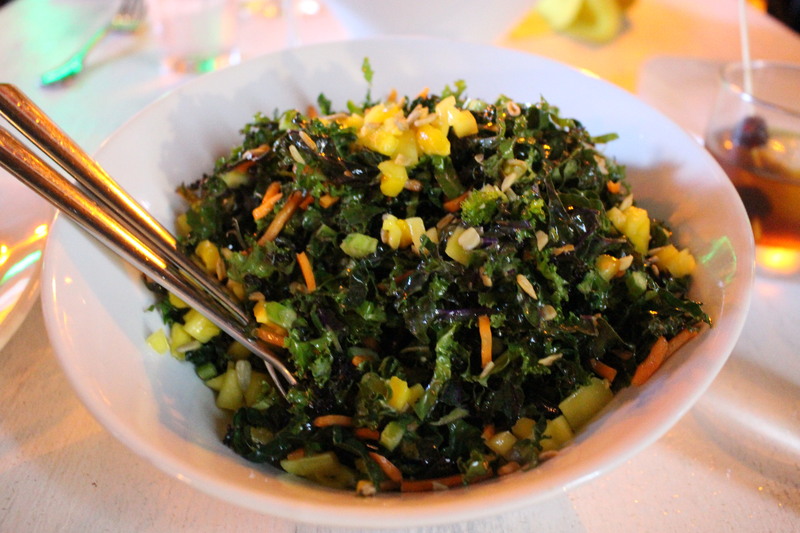 Chopped rainbow kale, diced mango, shredded carrot and pumpkin seeds with a honey lemon dressing. 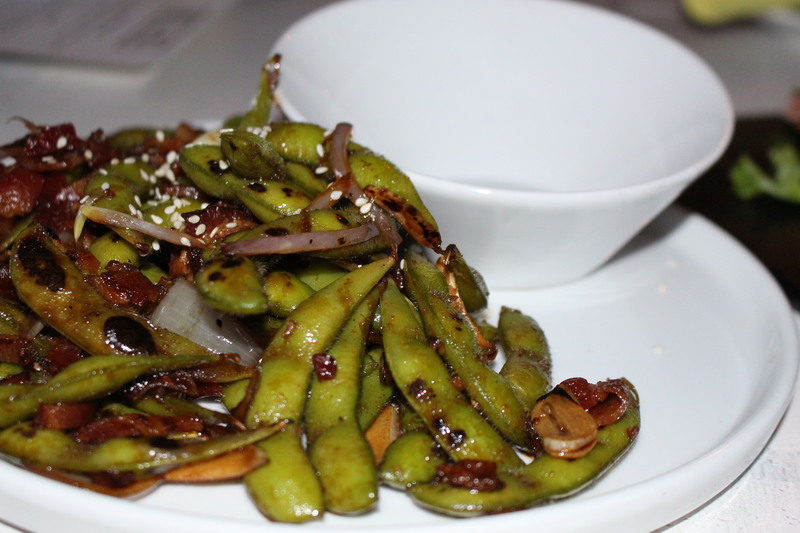 The portion sizes of appetizers and salads are generous and you could easily select a few to share to make a meal of. Or, you could save room for an entrée. We had four to choose from including braised short ribs over three cheese polenta, Mary’s Sonoma Chicken with lemon butter caper sauce, a filet mignon, and pan seared scallops. When it comes to entrees I’m a seafood kind of a gal, so I selected the scallops. 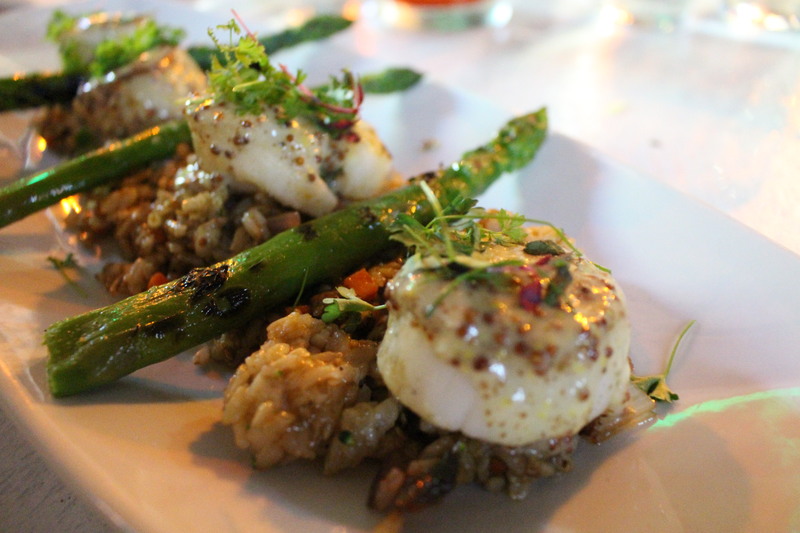 The scallops were moist and succulent and served atop brown rice with perfectly grilled asparagus. So much flavor… and the brown rice added texture I always crave in a dish. 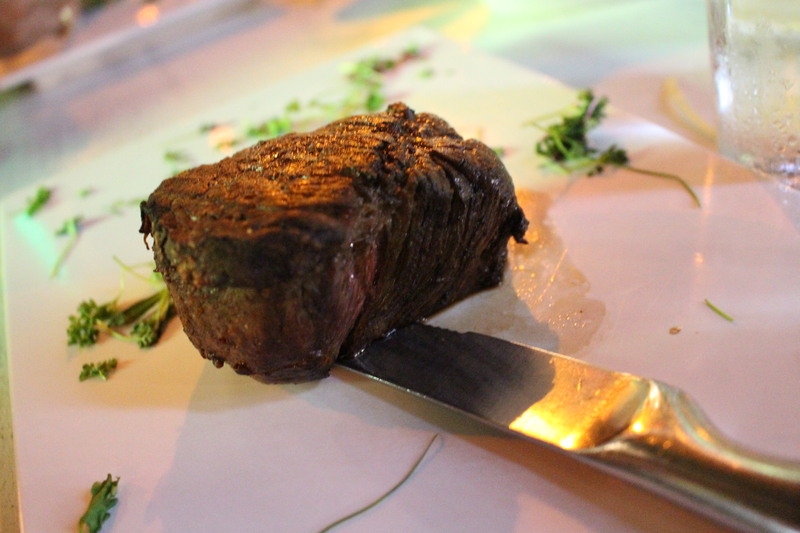 The Filet mignon. An Akaushi Kobe Style Prime Cut steak from Heart Brand in Texas. The steak was cooked medium rare and though I did not order it, I was able to steal a delicious bite off my friend’s plate. 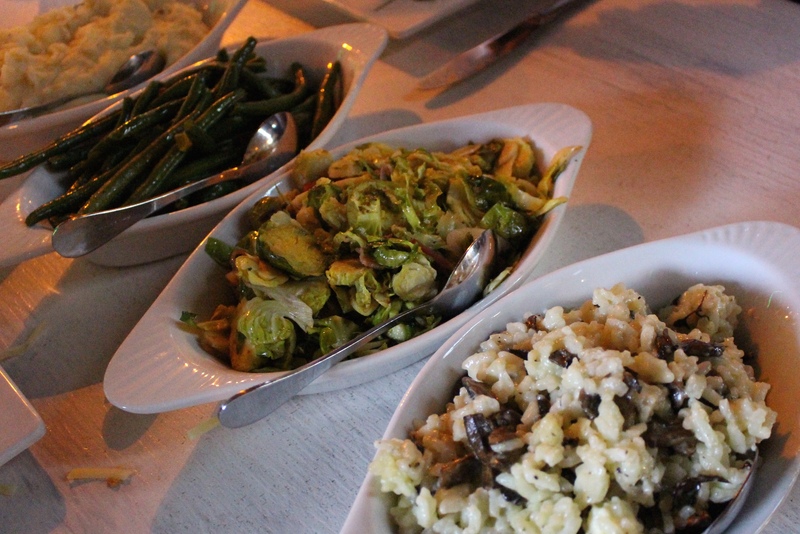 We also had several sides to choose from as well including sautéed bacon green beans, Brussels sprouts, garlic mashed potatoes, and bleu cheese mushroom risotto. I was so ridiculously stuffed at this point, but I did taste the mushroom risotto. Mmmmm… flavor bomb. I could see this as a main dish. And then there was dessert. Stick me with a fork. Somehow I managed a bite of each though. 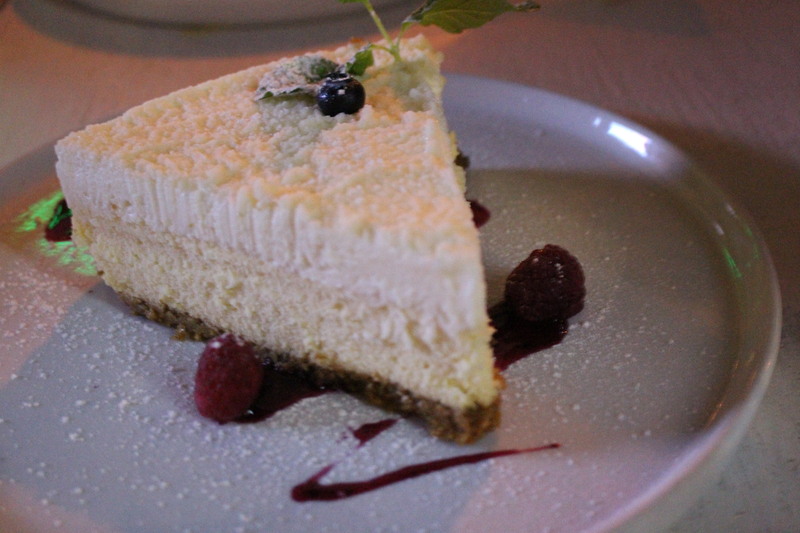 A lovely, very light cheesecake. 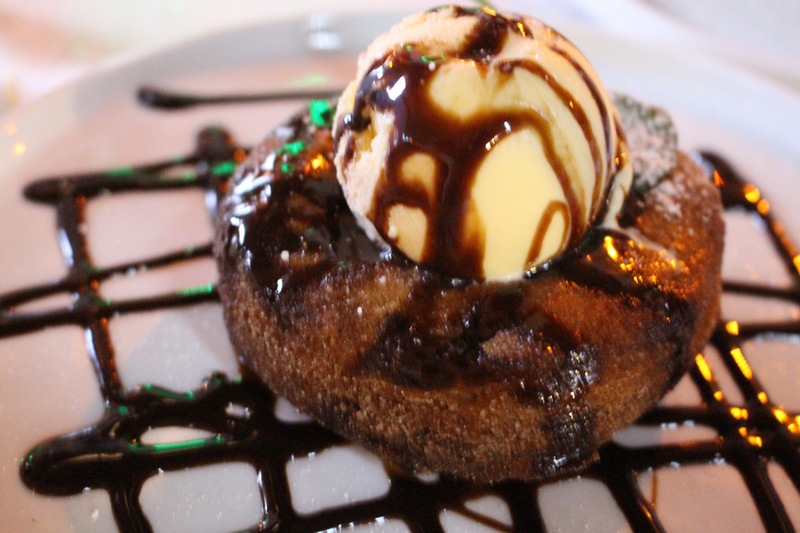 For cronut fans, the BLK cronut sundae. 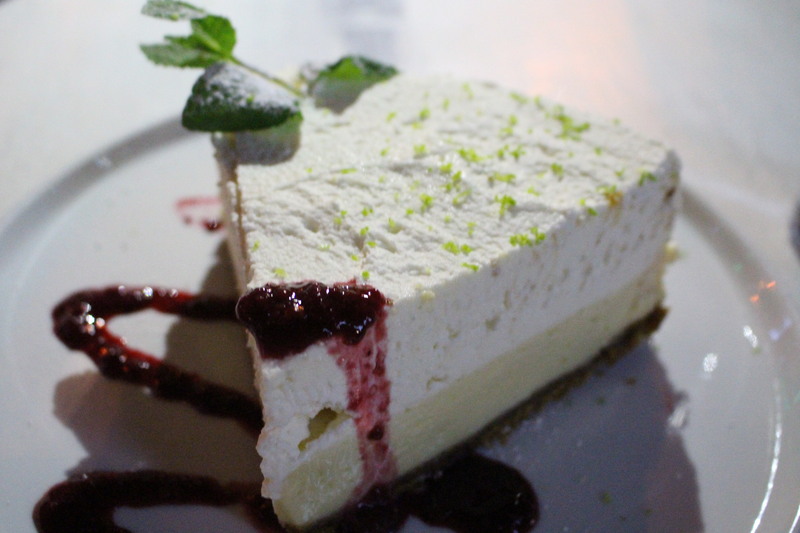 And my personal favorite, key lime pie. 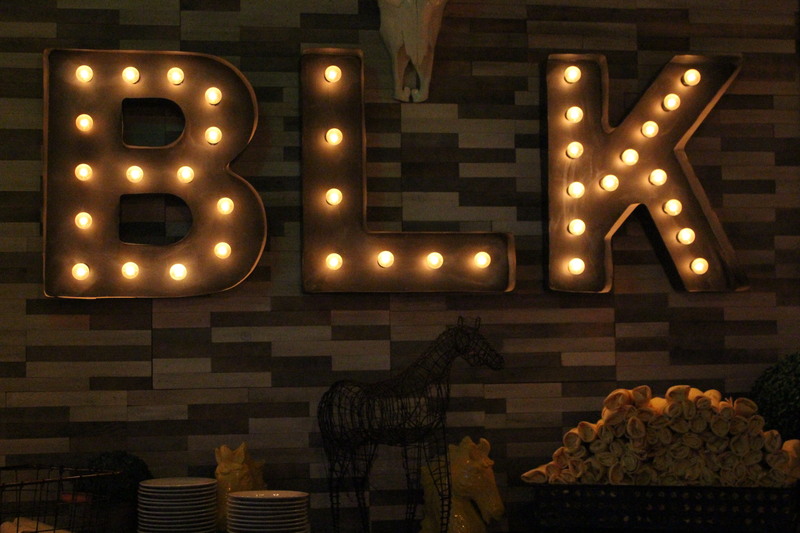 So is BLK Earth Sea Spirits my new go to on my Surf City Nights outings? You bet! 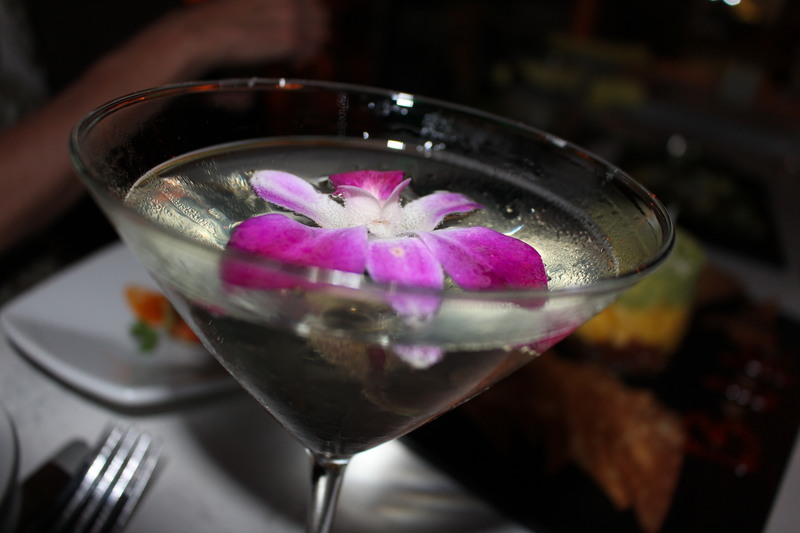 Breathtaking views, wonderful ambiance, and a menu with a wide assortment of options whether looking for lunch, dinner or just appies, there’s something for almost everyone. And that is something to look forward to.